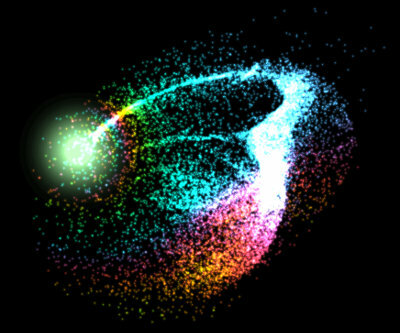 Fireflies is a WebGL demo in which a friendly flock of fireflies forms shapes for your entertainment. Here are some live demo links, and a video. Thanks to Loren Schmidt for agreeing to let me use the awesome pixel-person avatar. View source, if you’re into that kind of thing. Kimotion-powered interactive art at SPARKcon 2016. 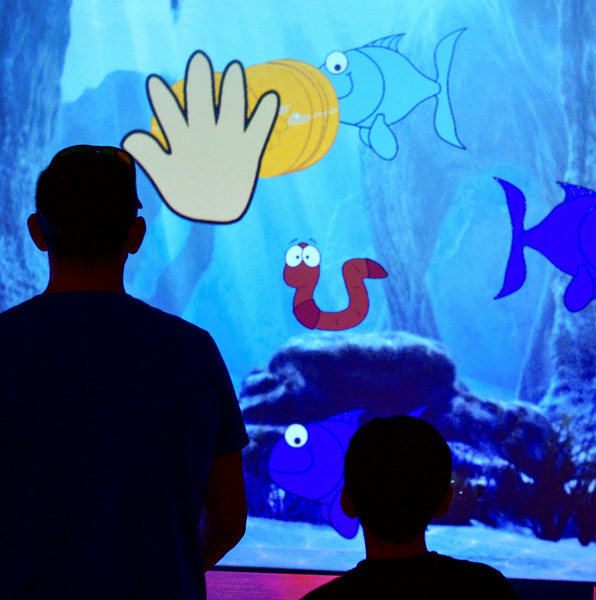 Kimotion is a new framework for building interactive art exhibits. It will appeal mostly to the Programmer Artist types. Think “Warrior Poet”, but with keyboards. 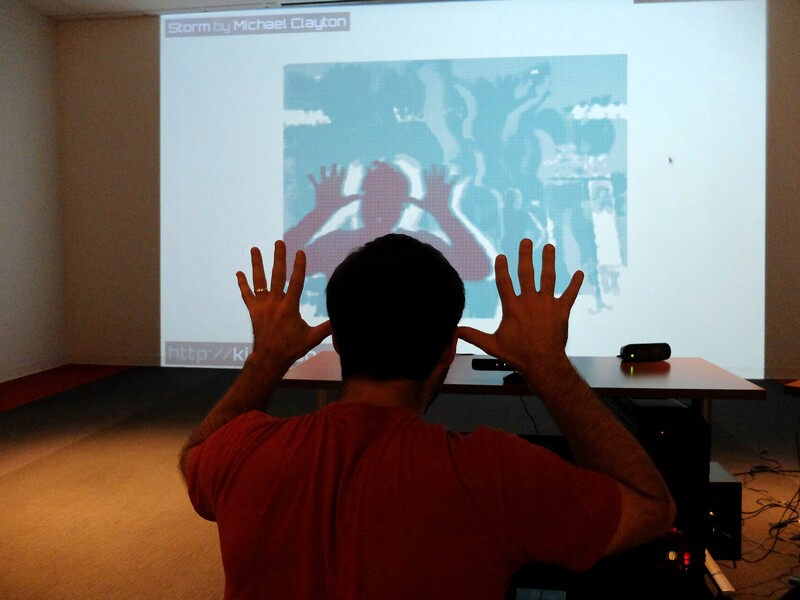 Kimotion is a framework for building reactive digital art displays. 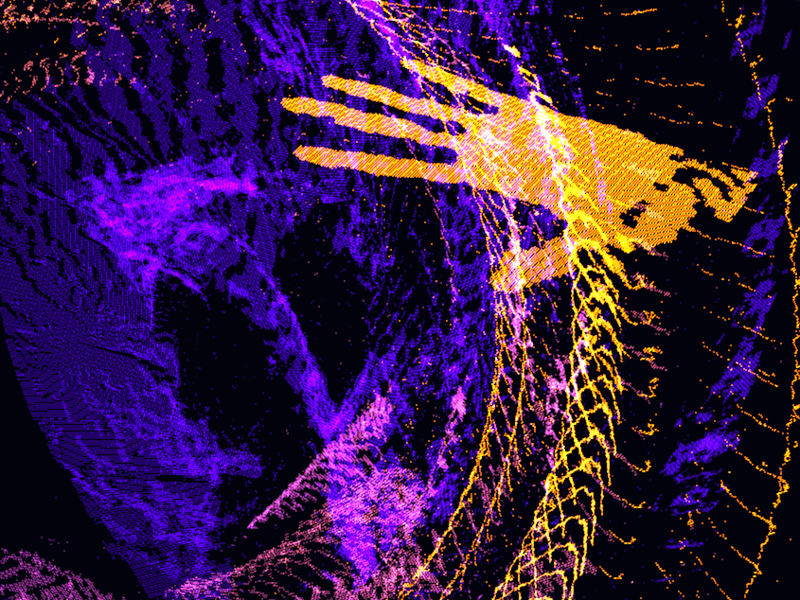 The construction of a WebGL particle physics gravity simulation slash interactive art installation. 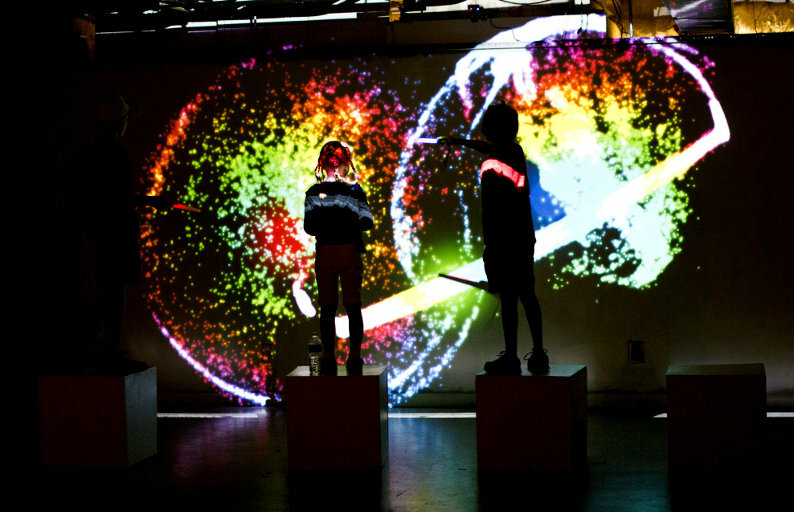 Dimo: Particles is an artistic particle physics simulation and interactive art exhibit I created (along with fellow Red Hat engineers Ian Hands and Ben Pritchett) for the SPARKcon festival in 2014. Launch live demo! Pictures These pictures are from the art exhibit at geekSPARK in 2014. $GALLERY After the event, I wrote this opensource.com article about the experience. The source code is, of course, open.